With Halloween coming up, everyone is thinking about costumes. In figure skating, costumes are important throughout the year. For technical events in skating, I feel that while a good costume can help the judges remember the skater, strong skating is much more important than just having an elaborate dress. However, for events such as artistic and spotlight where the focus is on originality and music interpretation, costumes are much more important to the overall performance quality. As a rule of thumb, it’s useful for the judges to be able to tell what type of music the skater will be performing to by looking at their costume before the music starts. It’s also nice for spotlight events to have a surprise layer of costume underneath the first layer or some other unique twist to the costume. Here’s a Halloween show video with some good tricks in it. If you’re looking for Halloween costume ideas for skating, there are some interesting ones in the video! This week I’m going to talk about competitive skating attire. While competition is judged on skating skills, it’s still important to leave a positive impression on the judges through a classy appearance. For technical events, the outfit or dress often helps the judges remember the skater (the girl in the red dress, etc. ), so having an outfit that works well with a skater’s music is important. For artistic and spotlight events, much more emphasis is placed on costumes and outfits that help the skater interpret his or her music or character. Often for spotlight events, the most original costume and prop combinations help produce a high competition placement. Another important part of appearance for girls is their tights. I often recommend skin-tone, over-the-boot tights because they help complete the skater’s lines. Also, I recommend having a separate competition pair of tights. The practice pair usually will develop holes fairly quickly. Guys, remember to polish your skates if scuffed. It’s important to have the skater’s hair looking neat and tidy. There are many different ways to fix hair, depending on the type of music the skater chooses. In addition, I recommend using makeup for girls because the white ice tends to wash out the skater’s face, especially when viewed from a distance. Most competitions have vendors who can do the skater’s hair and makeup. MySkatingMall.com is the eBay of the skating community with a wide variety of new and gently used skating dresses and outfits, equipment, and accessories for low prices. Plus one of my friends started the site – it’s worth checking out! eBay.com is another good place to find inexpensive skating dresses and outfits. Numerous students of mine have had good luck there. Just be prepared that skating outfits may not always fit properly because they may have been listed incorrectly. I would avoid buying skates online. Unless you have already been fitted by a professional, it’s hard to know what size boot you need. A good local pro shop is going to carry skates and accessories. They may also have a limited selection of skating dresses and outfits. If you need a more elaborate costume for a program, you could check out various online costume stores or plan ahead at Halloween. The other option is to have a seamstress make you a custom costume or dress. Until skaters reach the the highest levels, skating costumes can be purchased inexpensively. I just updated my competition checklist. Bookmark this link in case you need it again for future reference! And don’t forget to double check for skates, costume, and music! 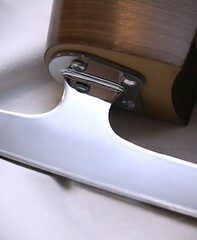 Sharpen your skates about one week before the competition for good edges and to get comfortable with the sharpening. For females, wear over-the-boot tights or have freshly polished skates. For males, polish your skates if scuffed. The night before you compete, be sure to get at least 8 to 9 hours sleep. Again, remember to take your skates, costume, and music! Bring a sweater or jacket to wear before you go on the ice so you stay warm and loose. You may want more than one layer! You should arrive at the rink no later than one hour before your event. When you arrive at the rink you should be wearing your costume, or you should plan to arrive early enough to have your costume on one hour before your event. Females, have your hair and makeup done. If you are planning to have a vendor do your hair or makeup, be sure that your appointment ends 45 minutes prior to your event start time. When you arrive at the rink, turn in your program music CD and check in at the registration table. Put your skates on about 40 minutes before your event. About 30 minutes before your event, look for your coach by the ice entrance to get warmed up. Remember the goals of the competition are to have fun, to learn how to perform in front of an audience, and to give your full effort!!! Don’t worry about results. Good competition placement isn’t the main focus; it’s just a bonus! Remember to SMILE 🙂 & have fun!